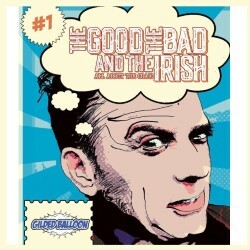 Group: The Good, the Bad and the Irish! We've been entertaining audiences all over Europe and Ireland since 2012, with sell-out shows in Holland, Germany, Belgium, Austria, the Czech Republic, Hungary and many more. We showcase the best acts from all over the Emerald Isle and beyond, making us number one in Irish comedy. 'Energetic and confident' (Stand). 'Damn Funny!' (Culchie.ie). 'Highly recommended!' (BroadwayBaby.com).